Brought to you by Edward Bellamy, Francis Bellamy, Liberia and the Liberian Pledge of Allegiance, et cetera. There are some ways in which the USA seems less free, and more socialistic than most other countries. The main example is the pledge of allegiance. All other countries shun it. 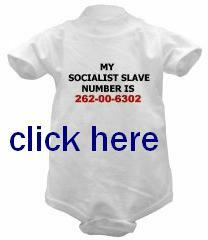 No other country on earth expects children to slavishly chant a socialist's pledge in such a bizarre ritual, in military formation, and by law in socialist schools every day upon the ring of a government bell, like Pavlov's lapdogs of the state. Does the pledge of allegiance establish a religion -- the worship of government? As a Libertarian, and an attorney too, I am fascinated by court litigation about the pledge. As a pro bono service, I help educate the public about the litigation. The pledge was authored by Francis Bellamy, first cousin and follower of the National Socialist author Edward Bellamy. Edward Bellamy's novel, "Looking Backward," (1888) predicted that life in the year 2000 would be a totalitarian society where private trade is outlawed, where all men are in an "industrial army," (a Bellamy term) where all of society is modeled on the military and where the government schools are explicitly modeled on the military to indoctrinate everyone to submit to "military socialism" (another Bellamy term). It was portrayed as utopia. That is behind the militaristic totalitarian-style robotic chanting of the pledge as a collective by children in some government schools, on cue from the government every single day. As strange as it may seem, the totalitarian ideas that inspired the pledge's author had a role in the socialist "Wholecaust" (of which the Holocaust was a part) and in hundreds of millions slaughtered worldwide. Remove the pledge from the flag. Remove the flag from the schools. Remove the schools from the government. Even Liberia, although it copied the Pledge of Allegiance from the USA, does not impose laws requiring children to robotically chant it daily in government schools. Liberia probably also adopted the USA's stiff-arm salute when it adopted the USA's pledge. Many Liberian historians and scholars continue to argue about who were present on the flag committee and who were not present. Others are arguing about the description of the flag. The fact of the matter is, Liberian flag is foreign and is a complete plagiarism, which is the result of lack of ingenuity on the part of the designers and their facilitators. Any argument without advancing suggestions for a solution, leads us to nowhere. It has been a century and half now since Susana Lewis and others committed this clever plagiarism. Our failure to revisit the designs of our flag and the allegiance reduces us to nothing but a bunch of unintelligent people. Flag is a symbolic expression and national identity of a people in a given society. A country’s flag is designed from some important historical influences and landmarks such as the declaration of independence, the country’s geography, and the people and what they stand for. Liberian flag is one of the few controversial national symbols on the African continent. Liberian flag, to be frank, is a copy of the American flag, suggesting that the designers of the flag lacked vision and creativity. The flag has no description of our geography, except the blue field, which the designers referred to as “continent of Africa.” This is a complete mockery and demonstrates still, another twist of history. The blue color in the Liberian flag has no symbolic significance to Africa as suggested by the designers and those who gave these descriptions. African flags are dominantly green and yellow/gold, signifying African wealth. The representation of the five pointed white star could make sense, but the color otherwise suggests the 51st state of the United States of America, or is a self governing unincorporated territory of the United States as Puerto-Rico. In fact, in the United States, Liberian flag is not attractive; rather it looks like another US territory some where in the world. The US pledge of allegiance: I pledge allegiance to the flag of the United States of America and to the Republic for which it stands, one Nation under God, indivisible, with liberty and justice for all. Liberian pledge of allegiance: I pledge allegiance to the flag of Liberia and to the Republic for which it stands, one nation indivisible, with liberty and justice for all. Liberians have long been comfortable with these unauthorized or unacceptable standards of our culture and social organization. When the 1980 revolution took place, Liberian politicians and historians moved quickly to sanction the changing of names of streets and buildings, and amending the constitution to the disadvantage of the Liberian people, and in favor of the military regime without much being said of the most noticeable acts of plagiarism of our flag and its allegiance. Even the constitution was a plagiarism, though the plagiarism was immaterial, because the constitution was invisible. The so-called elite, the ruling class, the political architects, and even the lower class have all been riding in the same boat when it comes to pledging blind loyalty to America. This derived from the principles on which Liberia was founded; which say that the basic way in which we can succeed, is to be submissive and dare not be independent of America; and we must be manipulated; our government and political organizations actions must be controlled by the United States. A number of countries in Africa have made significant changes in their histories. The Democratic Republic of Congo was Zaire. Burkina Faso was Upper Volta; her flag has changed as well; Zimbabwe was Rhodesia with its flag changed; Republic of Benin was Dahomey; and the list goes on. These countries bravely made these changes to reflect their identities and prides. For them, the right to self-government without interference from outside is the definition of freedom. Despite our unflinching loyalty to the U.S., she was the last country to send troops after France and Britain reminded her of our long loyalty to her and forcibly pulled her from the shell. Symptom of malaria discovered on one marine led U.S. troop to pull out as quickly as possible. When Tony Blair was prime minister of Britain we often heard of the special relationship between his country and the US. President Bush also spoke of that special relationship. The term "special relationship" was first used by Winston Churchill in 1946 in his famous Iron Curtain speech at Fulton, Missouri. Churchill was describing Anglo-American ties that had developed during World War II. The term has also been used to describe the ties between the United States and Liberia, the West African country which has been independent since 1847. Both Liberia and the United States acknowledge the special relationship. This relationship, however, was only partially forged by World War II when Liberia became strategically important in the prosecution of the war in the North African theatre. Liberia's importance to the Allied cause became evident early o'clock after Malaysia and Singapore fell to the Japanese. Liberia became a primary source of latex rubber for the allies. This was not the sole way that Liberia became vital in the Allied cause. A South American- Liberian air corridor was opened up to facilitate the transport of soldiers and supplies across the Atlantic, thus avoiding German U-boats which were lurking in the North Atlantic. The special relationship between the oldest independent nation in Africa and the United States goes back even further than World War II. It began way back in 1822 when American slaves returned to settle in Africa. Quakers and slaveholders formed the African Colonisation Society and collaborated in sending the slaves back to Africa. The Quakers hoped that the slaves would have a better chance to live free in Africa, while the slaveholders wanted to avoid bloody slave rebellions as had happened in Haiti. Returning Africans, now called Americo-Liberians, wished to model the new nation along the lines of the United States, hence the name Liberia, which means the Land of the Free. Other American symbols followed. The Liberian flag resembles the American flag, there is a pledge of allegiance, and Liberia's official language is English. Liberia's capital, Monrovia, was named after former US president, James Monroe who sent aid to free the slaves. But tensions arose immediately between the Americo-Liberians and the indigenous Africans. The tensions stemmed from religious differences, social customs, and cultural standards rooted in the ante bellum American South on the part of Americo- Liberians. Naturally politics exacerbated the situation when Americo-Liberians over the years grabbed the lion's share of governmental posts, including the presidency. Today, Liberia is a despoiled country, the result of civil wars that have taken a heavy toll on the nation's development. Interestingly, it was an individual of purported Trinidad roots who precipitated the first civil war and was involved in the second. The father of Charles Taylor, a warlord who became president of Liberia, lived at Point Fortin and later went to Africa and threw in his lot with the Americo-Liberians. Taylor, the former president, who is now facing trial before a UN-backed war crimes tribunal, is the father of Charles "Chuckie'' Taylor who spent time in Trinidad before he was arrested in Miami after attempting to enter the United States on a forged passport. Liberia's civil wars have left its economy in shambles and the US Congress has appropriated $840 million to help in the country's reconstruction. Liberia's first woman president, Ellen Johnson Sirleaf, and Africa's first, has described the US role in helping Liberia as "critical." Consequently, she has asked the United States for debt relief. US assistance may certainly be forthcoming in that respect. After all, that's what special relationships are all about. It will be difficult for the US to forget Liberia's cooperation during World War 11, including declaring war against Germany and the Axis powers at its behest. United States of America v. $124,700 in U.S. Currency: the U.S. Court of Appeals for the Eighth Circuit took that amount of cash away from Emiliano Gomez Gonzolez while holding that Driving With Money is a Crime and that police may seize cash from motorists even in the absence of any evidence that a crime has been committed. A federal appeals court ruled yesterday that if a motorist is carrying large sums of money, it is automatically subject to confiscation. In the case entitled, "
"Saddam and the Third Reich" is a misleading documentary. 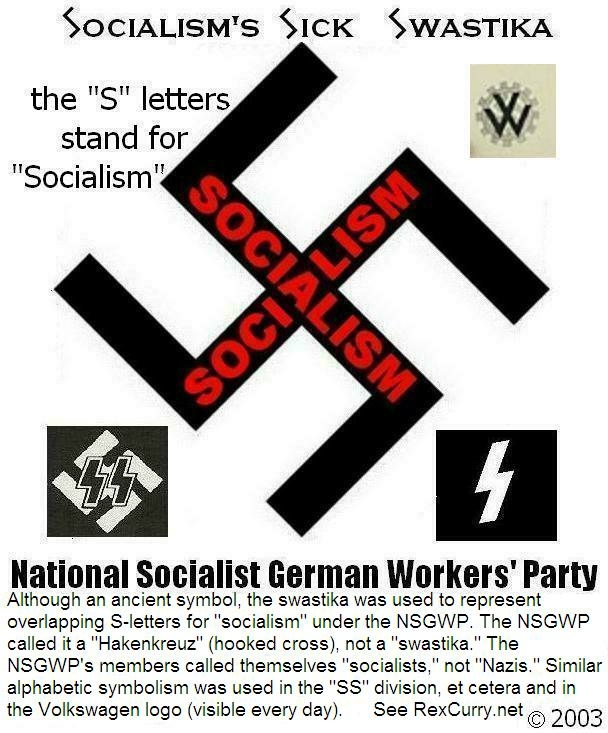 As the very title suggests, there is not a single mention of the actual name of the German political party that is in the title: the National Socialist German Workers Party. Similarly, as the title suggests, there is not a single mention of the actual name of the political party that Saddam followed: The Arab Socialist Ba'th Party (also spelled Baath or Ba'ath). The film leaves out the word "socialist." The Baath Party was founded in Damascus in the 1940s as an nationalist movement. And, as the title suggests, there is not a single mention of the origin of the stiff-arm salute (shown so often in the "documentary") from National Socialists in the USA. 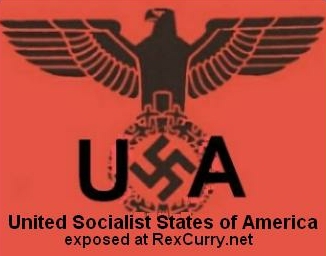 The evasions are so bad that they cause people to believe that the film's creators are socialists who are doing everything they can to hide their own deadly dogma and to hide their dogma's connections to socialists under Germany, Iraq and the USA. It first aired 11-13-05 and aired since then on the history channel.